MTSU hosts, cosponsors events .. 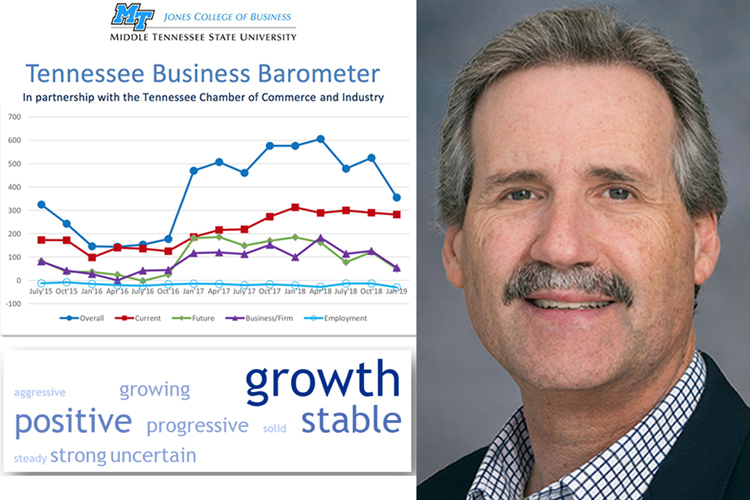 The Tennessee Business Barometer dropped sharply from the end of last year, according to the latest snapshot of business leaders’ opinions as measured by MTSU’s Jones College of Business. The index is determined by the percentage of positive and negative responses to a series of economic questions. Find the full survey report and previous reports at http://www.mtsu.edu/consumer/reportsbarometer.php. 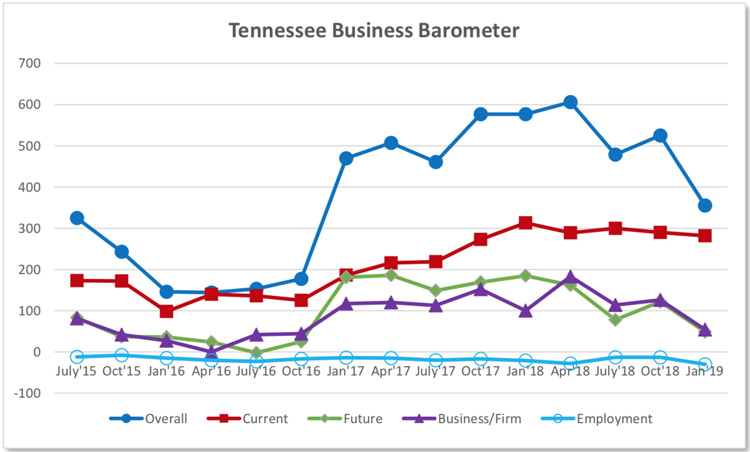 The next Tennessee Business Barometer survey is scheduled for April.The inaugural survey in July 2015 registered an index of 325.